Are You a Woman Business Owner Ready to Distinguish Yourself as a Powerful Leader, Manager, and Negotiator? 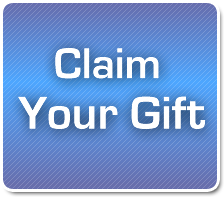 Start NOW by Claiming Your FREE Gift and Igniting YOUR Millionaire Mind! Distinguish yourself as a powerful leader, manager and negotiator? Clarify your vision, direction and strategy for your business? Speak your business powerfully – with certainty and clarity? Create marketing, financial and operational structures that increase your effectiveness and fully support your heathy, thriving business? Take your business to a new level of success, having a million-dollar company? Transform your work life to include YOU in all of your plans? Get ready to have more love, joy, and success in your business and in your life. What is stopping you from having this RIGHT NOW? Think about it! If you are being honest with yourself, you’ll find that you are more comfortable with the REASONS than being fully engaged in a future you have not yet experienced. And, when you uncover those REASONS, you’ll find EMOTIONS that are triggered every time you think about this New Future. Those Emotions have one catchall word that describes them….STRESS. Stress is defined as a state of mental tension and worry that means different things to different people. In the United States 46% of workers cited their current Workload as the main cause of Stress, 28% cited People Issues, and 20% cited Juggling Work and their Personal Lives. If you fit into one or more of these areas, I feel your pain! That’s why I wrote this book – to let you know, you are not alone. Millions of people – just like you – experience STRESS every day. Most people continue living with unresolved stress for years, putting up with unsatisfactory conditions and mediocre results. Even in the face of working very hard, many become resigned to any possibility of really changing those conditions. But, it doesn’t have to be this way. You are a unique human Being! You have brilliance within you! You have the power to transform stress right now, to Ignite Your Millionaire Mind, and have REAL business results you’ve only dreamed were possible! Hi! My name is MichelJoy DelRe. I’m a #1 Amazon International Best Selling Author and Speaker of READY, AIM, THRIVE! Your journey of transforming stress and resignation into TURNED ON ALIVENESS is my own journey that started over 30 years ago. After a banking career, having a baby, and completing college, I was still left with a deep sadness. One day, when I wasn’t sure if there was anything to live for, I heard a speaker say “You were made for greatness”. I didn’t fully believe him then but, it was enough to motivate me to begin a search for greater possibilities. Fast forward 23 years! As a Transformational Business Consultant and Leadership Coach to Entrepreneurs, CEOs, and non-profit Leaders, I have guided five thousand clients to transform their businesses and lives. Clients shift from “hoping” to eliminate stress in their busy lives, to “knowing” stress can be transformational, leading to success in a THRIVING life! And now, this KNOWING – with no doubt – is what is possible for YOU! I am committed to inspiring you to play your BEST game in life and realize your dreams by Igniting Your Millionaire Mind. Your journey begins with one simple step…OPEN your FREE GUIDE. Authentic Leadership, being demanded in every industry, is easily accessed through CURIOSITY. Grateful people have HIGHER levels of control of their environments, personal growth, purpose, self-acceptance. Like the space missions, creating a vision of YOUR future puts you on a clear trajectory for an unrecognized FUTURE within an expanded context of WHAT IS POSSIBILE! 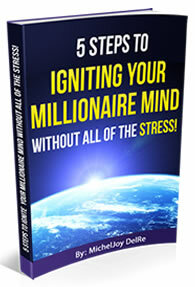 When you OPEN your FREE GUIDE, the journey of Igniting Your Millionaire Mind begins!